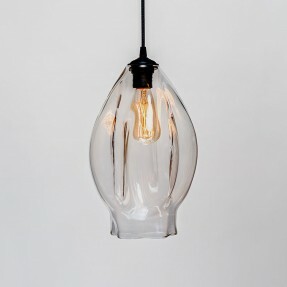 SØKTAS is hand-blown glass lighting, designed and made to create the right light to compliment your setting. Glass Artist & Designer, Oliver Höglund has been working with glass since 1999. Both his father and grandfather worked at the well known Kosta Boda Glassworks in Sweden. The craft has been passed through the generations. Starting his career in New Zealand and working throughout the United States, Asia, Australia and Scandinavia, has helped him learn different processes to expand his design ideas along the way. After creating a pendant light a decade earlier, Oliver always had a desire to create functional art glass. 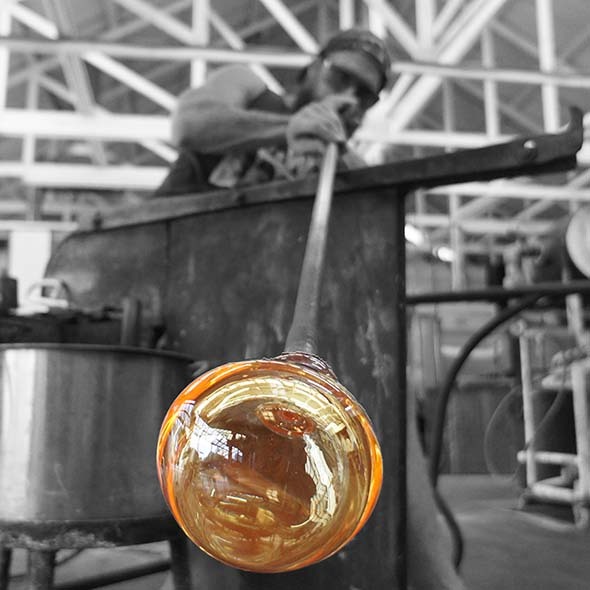 Working with molten glass requires deep focus and is a very intense process. Each item requires focus and hard work in the studio, every piece is made with pride which creates a unique quality. No two items will ever be the same as expected with anything made and shaped by hand. Variations in items can include, size dimensions, air-bubbles, colour and thicknesses. These aren’t seen as defects but rather as character references that add to the beauty of handmade glass. Quality assurance is guaranteed so that only our finest items are made available for purchase.